First, we use the article ‘the’ when referring to a concrete noun (as if we were pointing to an object with one of our fingers) or to a specific noun that we have already mentioned in speech or in writing. Close equivalents to the word ‘the’ in Japanese include この, その, and あの (kono, sono, ano; this, that, that). 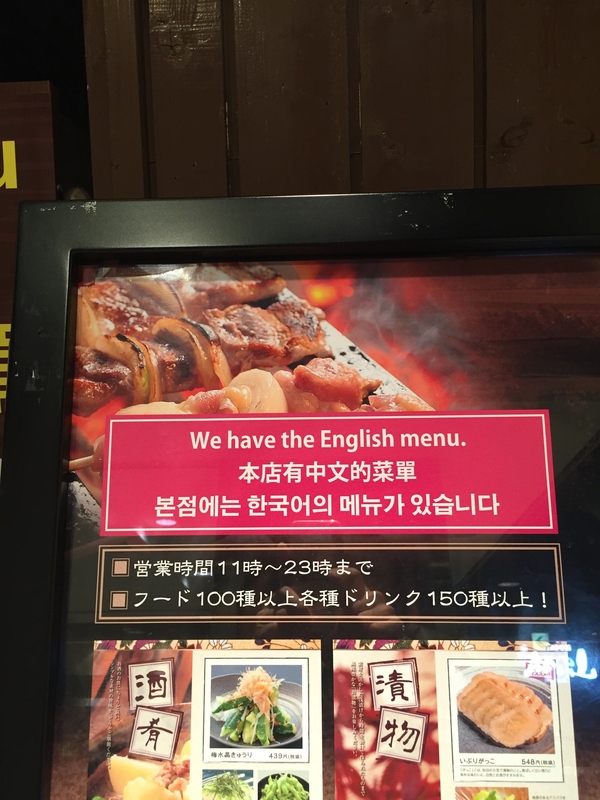 However, when written on an English sign and not spoken in English conversation, the sentence structure “We have … X …” would normally be reserved for somewhat rare or surprising items that are not usually stocked at most restaurants. Obviously, using such sentences on English menus or signs would create a surprising and memorable impact. 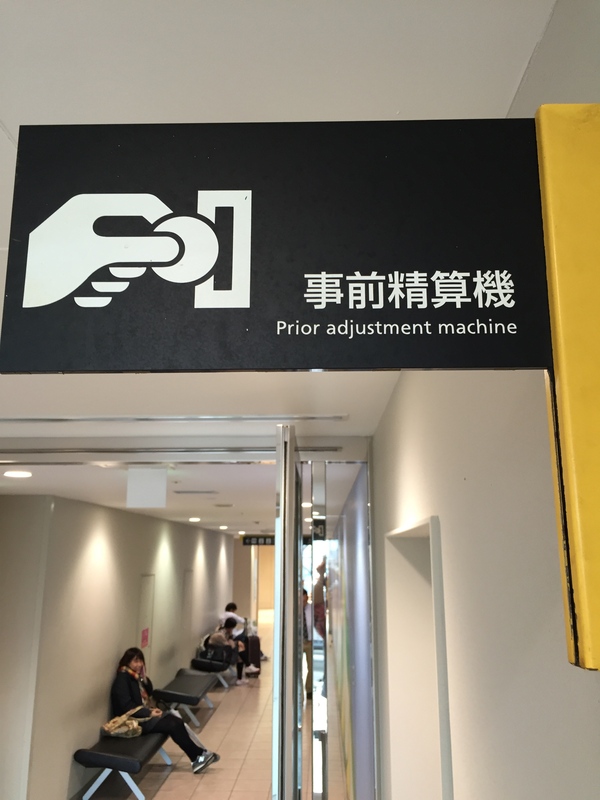 Translated into Japanese, this sign reads 以前にした調整の機械？？ (いぜんにした　ちょうせいのきかい, a machine the adjustment of which was previously done!?). The sign doesn’t sound natural and doesn’t make sense, so it’s hard for native English speakers who read it to understand what it means. First, one needs to be clear about what actually is being ‘adjusted’ here. Secondly, instead of using the adjective ‘prior,’ we use the prefix ‘pre-’ before a verb in order to specify an action that occurs before another action. Examples: preheat, preboard, preprint, prescreen, presell, and prepay! Finally, similar parking garages and payment machines are used in foreign countries where English is really spoken, so before going through the unnecessary hassle of trying to figure out how to translate such signs from Japanese into English, just ask a native English speaker what phrases or sentences are usually used!